The battle of the ecosystems is no longer a battle in a global sense as Android just continues expanding its dominant hold on the market pretty much everywhere except for the United States and Japan where the iPhone still sells better. Still, those are some of the world’s largest markets so they are definitely hugely important. We already gave you the U.S. numbers, courtesy of Kantar Research, but elsewhere, Android is pretty much the sole leader with iOS only a distant second. And Windows Phone still only has a marginal presence with a few exceptions like Italy where it has surprisingly captured a 13.9% of the market. This is what the latest statistics for the 12-week period ending December 2012, released by researchers from Kantar Worldpanel Comtech show. Kantar's data is based on thousands of surveys across the globe. First, the United States, though. The U.S. market continues to be the exception on the global scene as the iPhone manages to outsell Android and keep a healthy growth momentum. Japan is also one such market where the iPhone has an even larger share advantage compared to the Android crowd. Europe and the rest of Asia, though? The complete opposite. Looking at Europe’s five biggest markets, Android outsells the iPhone more than two times. In Spain, Apple’s share has fallen to 6.4% while Android holds a whopping 86.4% hold of the market. 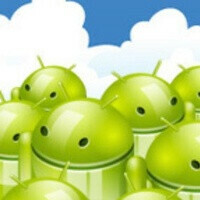 Urban China is also an Android stronghold with 72.5% of phones there running Google’s operating system. Take a look at the breakdown by country right below. Ouch! Com'on now, iOS users are not dumb at all. We may not understand why the like this device as they do, but they are intelligent people who simply disagree with our platform choice. Give em' a break. I don't believe the numbers, if iPhones are doing so well why there are heavy discounts? Like I posted on a much older article.... US Americans got to taste Android in the beginnings, and to be honest, it was not a nice experience... it wasn't appealing enough for me to switch from a Blackberry! Can you believe it?... Anyway as time goes by, Americans grew out of "love" for android and turn back to their easy and comfy iOS.... But later, Google quickly changed the rules of the game and Android evolved incredibly fast past iOS and the REST of the WORLD now paid attention, and it was then when popularity started to increase... In my country Blackberries where a huge trend a while ago.... but people started to realize how much they sucked compared to even 2 years old Android handset and iPhones... so here I believe it is a little bit even... but more incline towards Android.. I often call iOS users computer illiterate. Because every one I've met doesn't know what a File Manager is, let alone understand what an open or closed file system is; the fact that they can live their lives without access to their files makes me very disappointed in them. I bought an iPad 2 when it came out to try our iOS and I couldn't stand the lack of control I had over my files. I sold it on Craigslist 6 months later because it was gathering too much dust for how valuable it was. I don't think iOS users are dumb all day everyday they just made a dumb choice on their phone purchase. Excellent post whateverman. Y do they have to b dumb for exercising their freedom of choice. The reason why I have an Ipad is because ios devices seem to be faster and smoother than android ones. Another reason is the fact that the ipad has more apps than any android device, plus the apps seems to be optimised for tablets witch shows that the company pays atention to details. Gaming is another reason why I chose ios, faster releases, more exclusive titles, better performance than any other tablet. Plus the design of the devices is amazing, great materials and very often apple will bring the latest technology first compared to the other brands, for example ios users were enjoying retina quality display 2 years before the nexus 10 came. If ios was open source like android then any tablet-phone manufactor would chose ios over android any day. Ios is far more capable than android, is just apples decisions of keeping it close and their money mentality that ruins the show. Ok that's true, but the same can be said for Android users as well. I see it day in day out in sales,the iphone 5 is a slow seller compared the the likes the the xperia t,galaxy s3,one x plus etc. Only in the US has Apple maintained any sales contest. Dumbest ignorant statement in the history of phone arena. Congrats. If your mother was that dumb, no wonder that you are a worthy heir! iFetishism is still running ramped in the US but, the numbers show that the majority of smartphone owners around the world prefer Android. And the numbers reflect that because their not being spoon fed iMarketing from Apple. I think that means a lot more than a very small lead in the US alone. In Spain it's 86.4% Android.. Now that's a Huuuggeeee one.. The US market is the hardest nut to crack. They like keeping things simple, American and trusted which are true to iPhones over Android's internationalism, customization and different SW which scares them a little. But trying out any 2012-13 droid should do the trick, you can enjoy the content much better on these and that will ultimately win over. True but even that may not last forever as there are issues in how Apple can attack Android. Obviously the war in the courts have not slowed the expansion at all. I think Apple will need to do more with its software in order to maintain its position in those two markets. Its a very strong brand that will continue to remain solid but Android really has only gotten better with both tech and software. Now with even more players like Win Phone 8 and BB10, things may get even more complicated. Now why is the word 'Stumble' always associated with US?? There are tons of table options in Japan, including now Kindle. Most are readers for Japanese lit and periodicals, and Android tablets abound. And while Mac is important, unlike other markets, the Smarphones (iPhones) in Japan are a recent development. The shelves are lined with every variety of Android phone, and Phablets are quite popular, with people grabbing 5" and more, so this is really a wide open market. I don't think they think in ecosystems the way others are. Phones are much more integrated into the society and have been for much longer. What's more important to me isn't how much market share Android has taken, but how efficient the OS has become these past two years. My N4 always exceeds my expectations, and the best is yet to come. 2013 will be the year Android on tablets gets traction and finally takes off like it should.